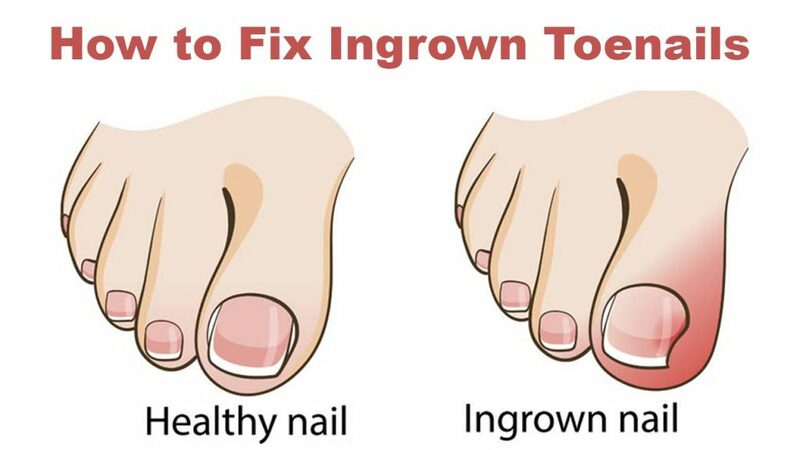 An ingrown toenail is an infection that develops when the toenails begin to grow into the skin surrounding them. They can become very painful with swelling, redness and pus, often very sore to touch and making it hard to wear shoes. Ingrown toenails occur from incorrect cutting technique, inadequate footwear, genetically curved nails or direct trauma. It is important to seek podiatry care as soon as you detect the nail is ingrown. DO NOT TRY TO CUT DOWN THE SIDE OF THE NAIL! Often it can require a minor procedure to remove the sharp piece of nail. If the nail has become infected or very painful it will require a surgical procedure under local anaesthetic. A small piece of nail along the ingrowing edge is removed and depending on the severity may be made permanent. It is normal for daily activities to be resumed the day after the procedure with minimal pain. At West Ryde Podiatry Clinic we offer the full range of PAINLESS Ingrown Toenail procedures. If the nail has become very sensitive and painful we can administer a local anaesthetic to numb the area then remove the section of nail using sterilised equipment. This procedure is painless and takes around 30-40 mins. A chemical can then be applied to prevent the nail from regrowing and causing further problems. The toe is then dressed and strict post-surgical instructions are given to ensure no secondary infection occurs. If necessary, emergency out of hours care is available, please ring the clinic and advise us of your need for immediate treatment. If you detect an ingrown toenail, soak it in warm salty water with betadine. Keep it clean, dry and dressed until you see the podiatrist. If it becomes very sore and infected, seek immediate advice.